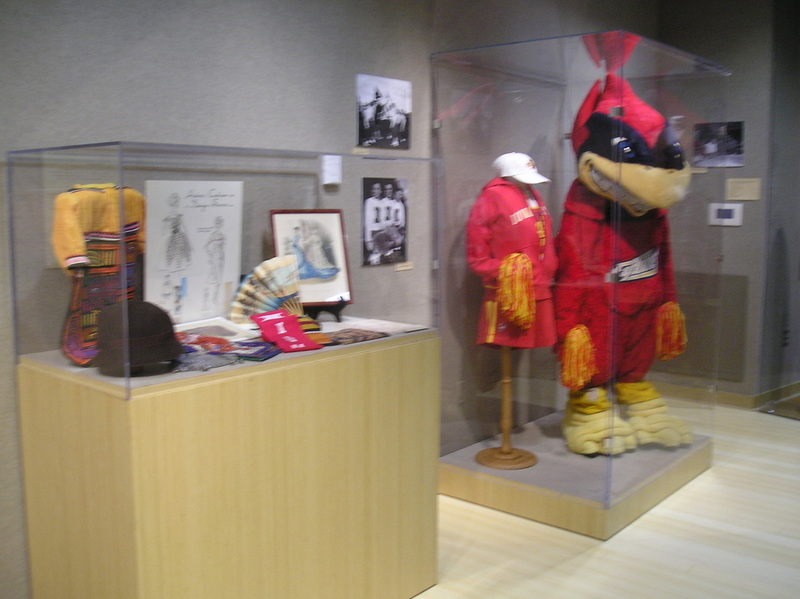 One Thread, Many Hands: Iowa State University’s Sesquicentennial Celebration. 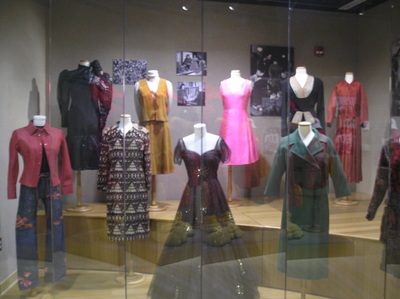 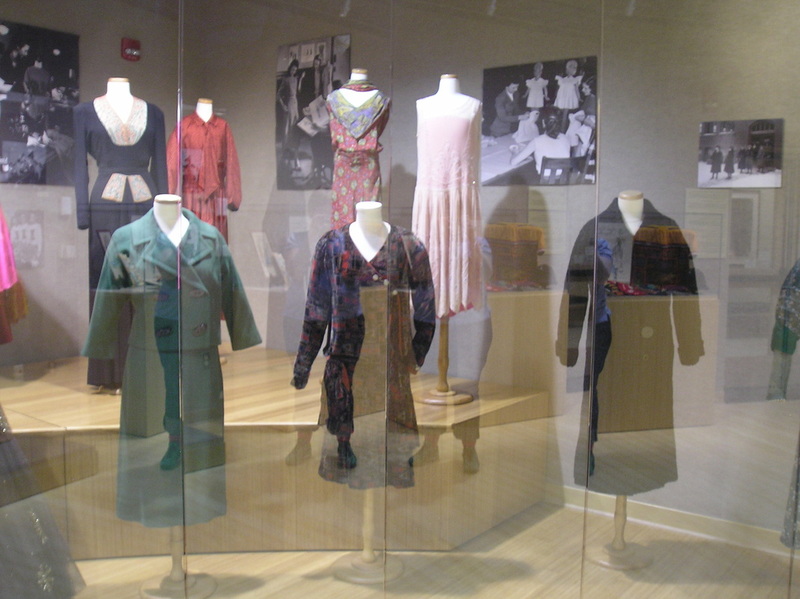 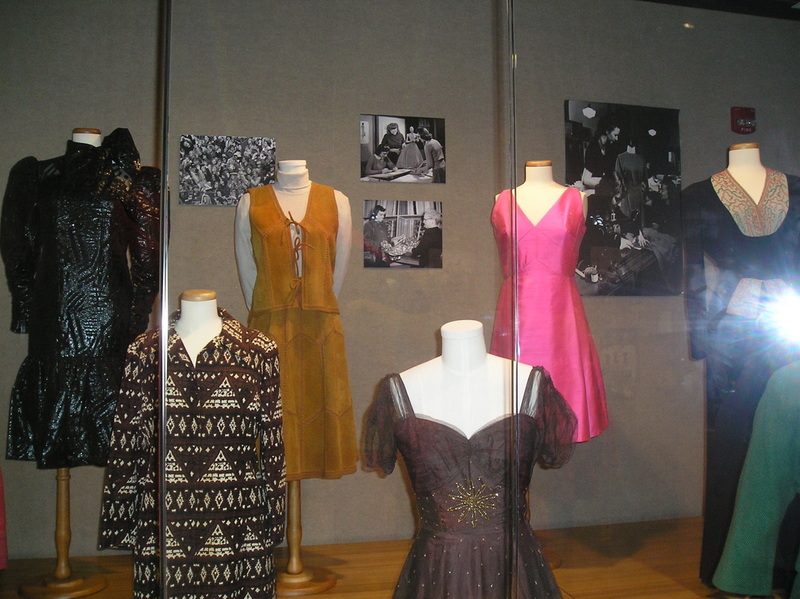 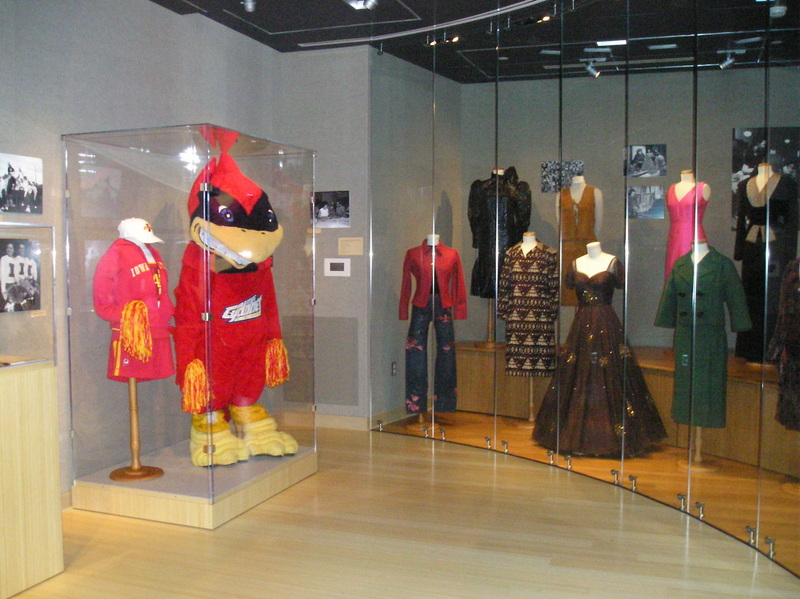 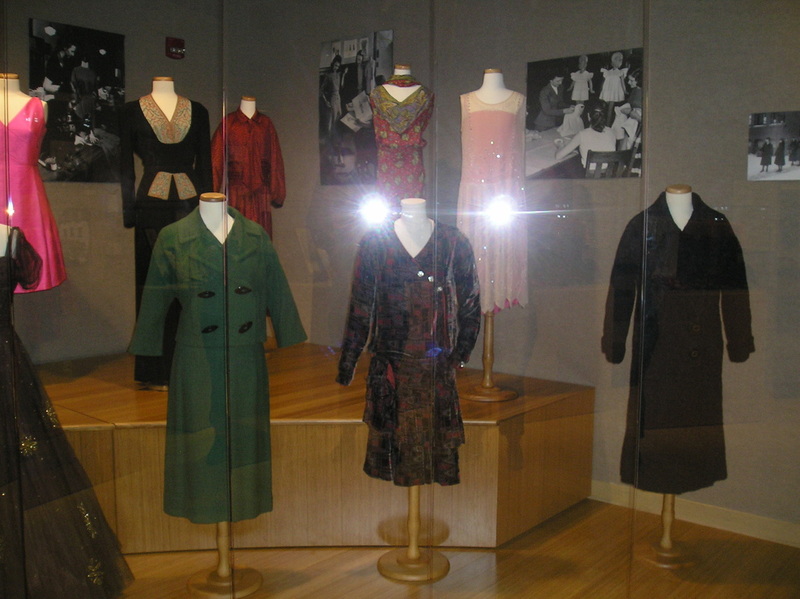 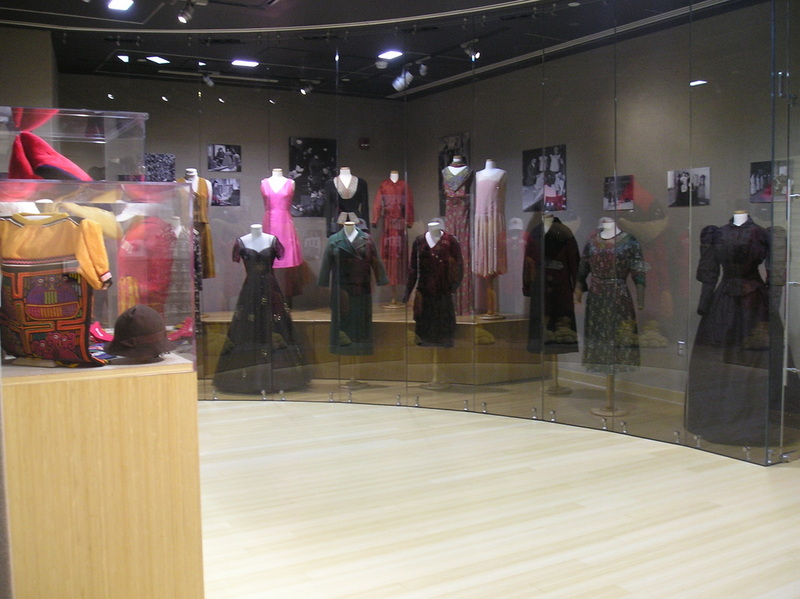 An exhibit of the textile treasures and clothing history of Iowa State University. 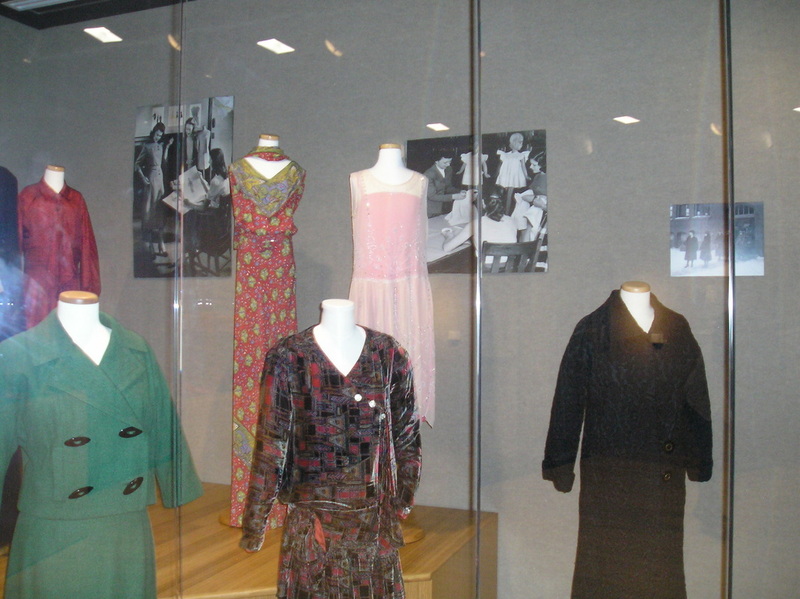 Curators for the exhibit are Sara B. Marcketti, Carmen Keist, Tekara Stewart, and Erica White. Sandra Stewart designed promotional graphics, using images from University Archives, ISU Library. 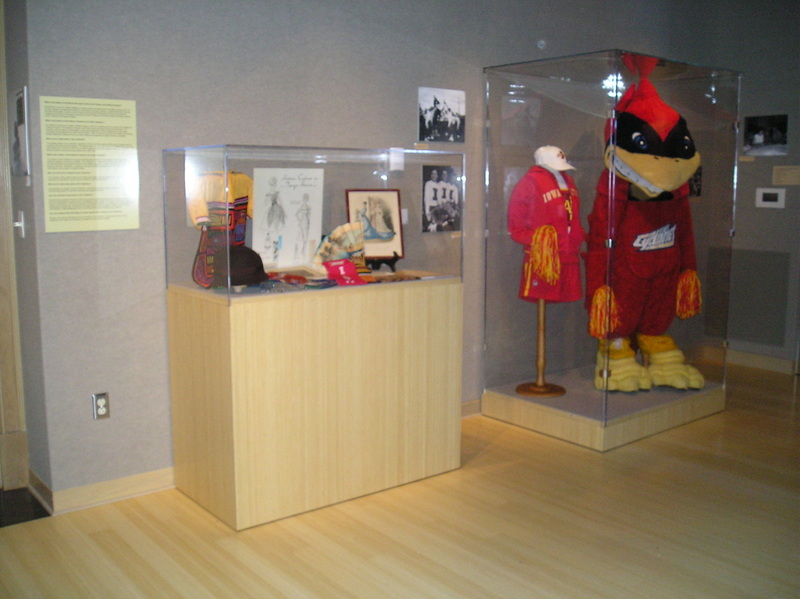 Iowa State University (the Iowa Agricultural College and Model Farm) was founded on March 22, 1858 by the legislature of the State of Iowa. 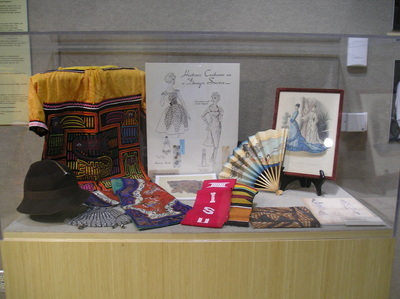 An exhibit of the material culture of Iowans, their textiles, accessories and garments reflect the changing lives of 150 years at Iowa State University. The sources for this exhibit include objects and photographs in the Textiles and Clothing Historic Costume and Textile Collection and photographs from Iowa State University’s Archives. The garments in this exhibit represent the changing ideals and norms for women from the 1850s through the 2000s. Iowa State University was the first university to accept the provisions of the land-grant mission that education should be accessible to all and should teach liberal and practical subjects (1864). 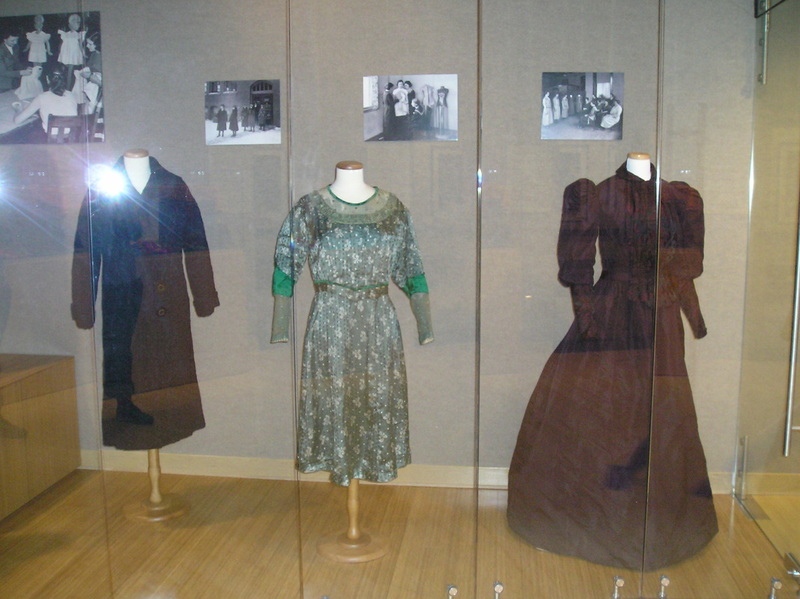 Iowa State was also the first in the nation to give courses in domestic economy (home economics) for college credit (1872). 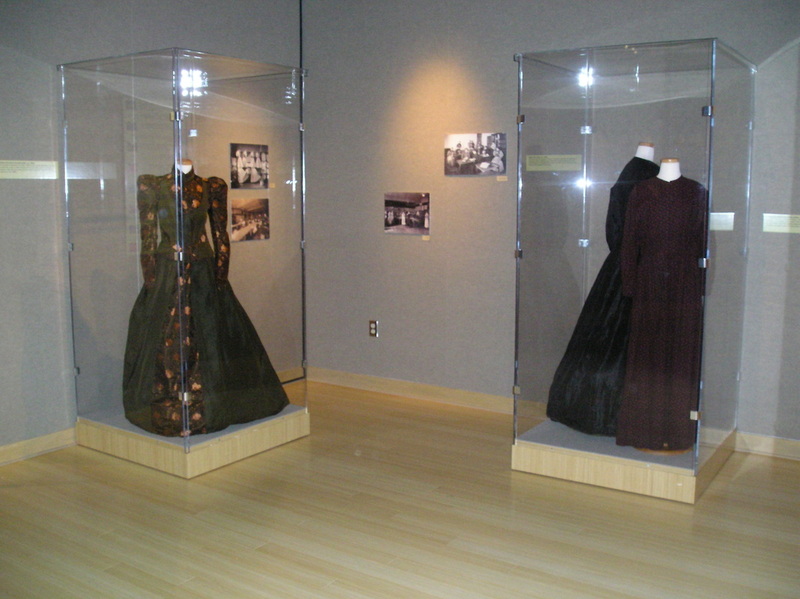 These first courses were taught by Mrs. Mary B. Welch, the president’s wife. In 1924, the Department of Textiles and Clothing was established. In 2001, the department was combined with two others (Family and Consumer Science Education and Studies, and Hotel, Restaurant and Institution Management) to form the Department of Apparel, Events, and Hospitality Management. Acknowledgment to the College of Human Sciences and the Apparel, Events, and Hospitality Department for support of this exhibit. 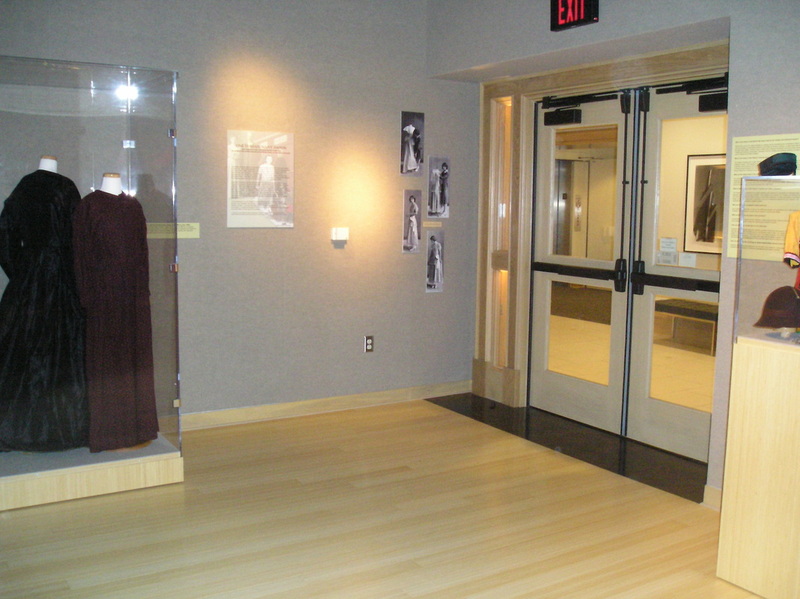 We also wish to thank Michele Christian, University Records Analyst for assistance with the Archival photographs. 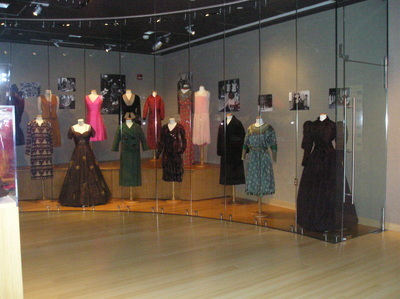 A special appreciation is offered to the donors whose vision and care made the preservation of these garments possible.